do has been shopping for food. And the fruits in this country are every bit as delicious as they look. I always end up buying more than I need and I’m not about to stop any time soon. 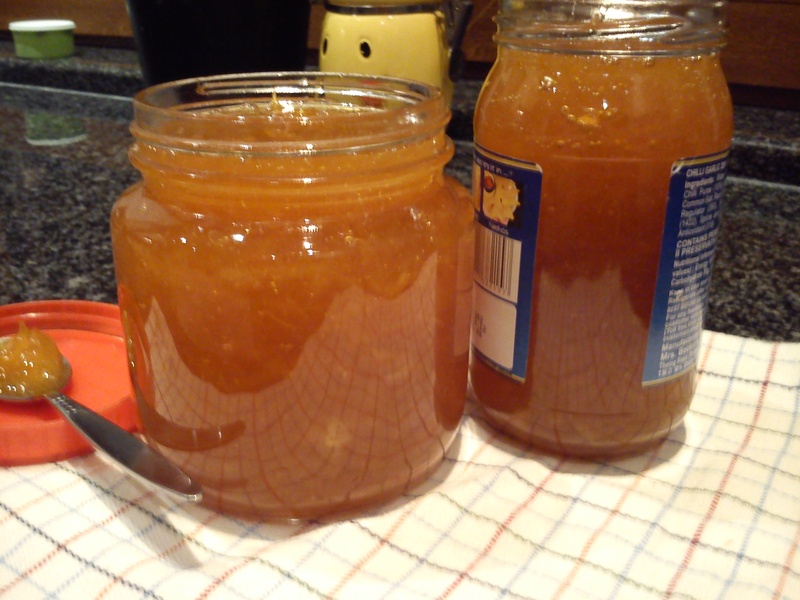 This is a simple but yummy marmalade, great on a warm piece of toast and out of this world with Gruyère if you’re looking for grilled cheese with a difference. I used naartjes (babies that would be born if oranges and sweet limes got hitched); but you can use either oranges or sweet limes or a mix of both and even throw a couple of lemons into the mix. I would love to experiment with different kinds of citrus. How wrong can one go? It’s an easy recipe and the only time you’ll need a little patience is when you’re peeling and chopping the fruit. I found that cutting off the top and bottom ends of the fruit and then peeling off the rind with a sharp knife moving top to bottom while keeping the fruit vertically on the chopping board, works best. I then cut the long strips of rind into matchsticks. Wash the fruit well, dry and peel or grate the rind. Be careful to leave out the white, bitter pith. Chop the orange segments into a rough dice and purée in a blender. Strain all the juice through a sieve and save a little more than half of the pulp. In a large pot, pour in the water with the juice, pulp and sugar and heat on medium, stirring till the sugar is dissolved completely. Throw in the rind and bring the mixture to a boil. Once it is boiling vigorously, reduce to a simmer and leave to bubble away. Don't forget to stir occasionally but for the most part leave it alone. 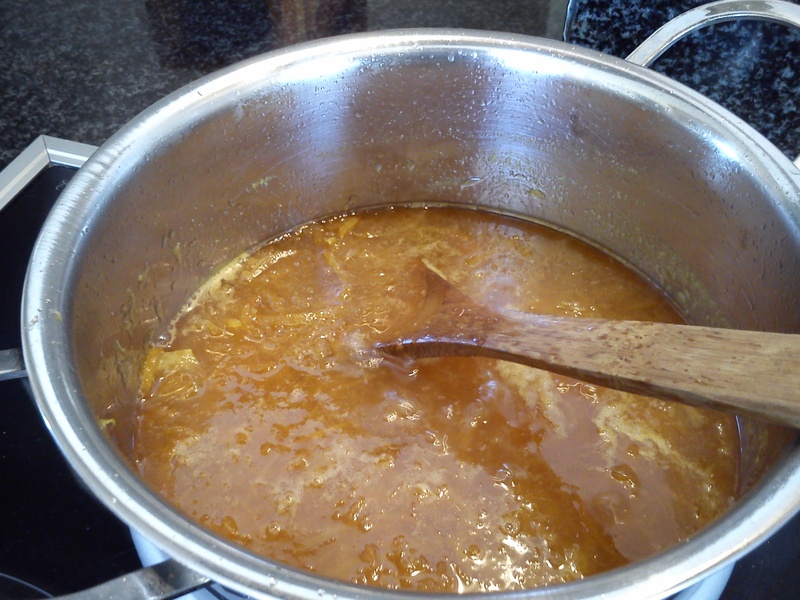 The marmalade is done when the quantity is less than half and fairly thick. To check, drop a small teaspoonful on a plate and chill in the fridge for 10 minutes. If it sets into semi firm consistency your work is done. Leave to cool and then pour into clean jars and store in the fridge. The cooking time is approximate. It would depend on the juiciness of the pulp.